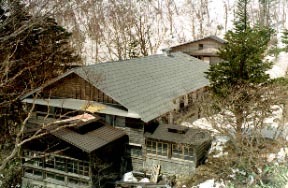 It can be familiar with the nature of the wooden Ryokan used for the Touji, and a mountain before the altitude of 1465 m, and a meiji, and it can enjoy hot water. 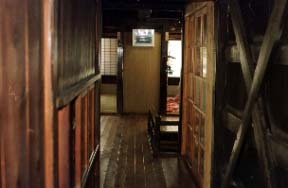 The lodge where a lamp is lighted, and inside of a hall are busy at a mountaineer's chatter. 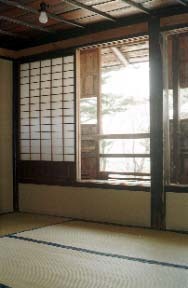 It is a guest room usual single room where warmth of a tree is felt also for a railing or a sliding shutter. 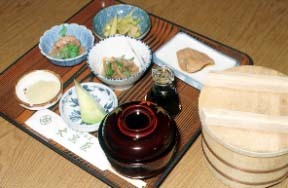 It is Large satisfaction to the soy source pot of glass, a wooden chest, and delicious boiled rice! Dishes are dishes of wild plants which unload once for a week, such as a fresh article and a child of a wild banboo sprout. 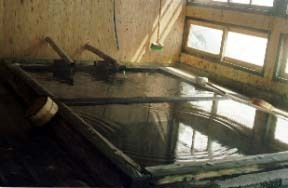 The stone bath and man-and-woman shift operations which are a bath tub of the total tree structure, and the clean hot water of a mountain.